It’s Halloween time, and black cats have always been associated with this spooky time of year. 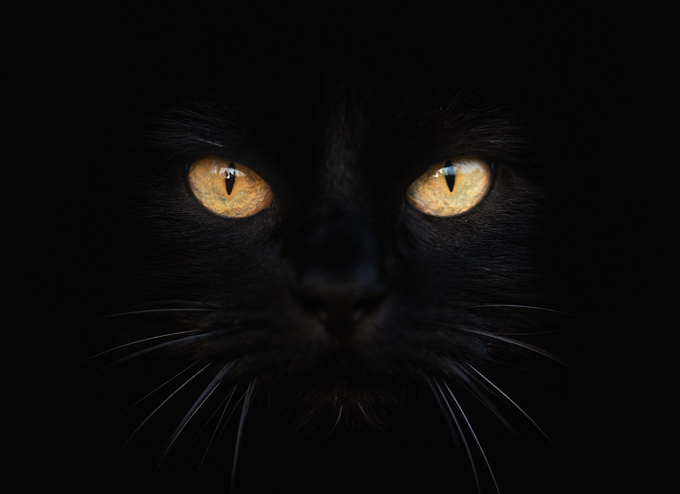 Ancient folklore depicts black cats as the familiars of witches, or even shape-shifting demons! We have a black cat and we associate him with a cuddly bed, but I digress. 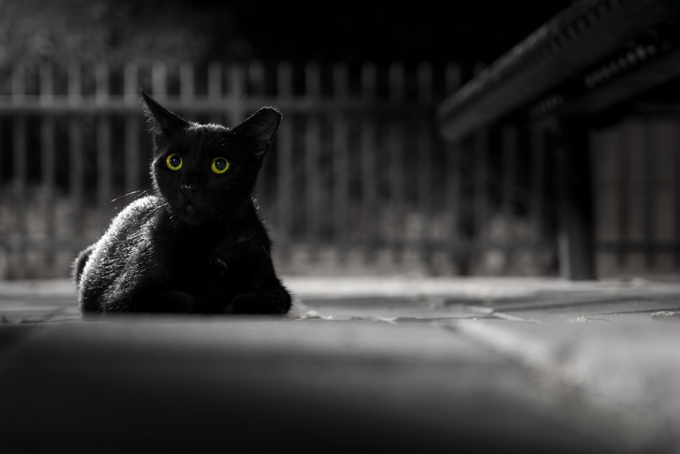 Black cats are considered unlucky in many cultures, as the harbingers of misfortune. In some magic circles, black cats are used IN spells! How awful! So when the time of Halloween comes around, it’s important to keep black cats safe from harm! I’m not suggesting there is definitely a satanic cult in your neighborhood, but there is always mischief afoot on Halloween, whether it’s young people, drunk people, or young drunk people. Some revelers might even want a black cat as a prop for their costume or party. Get the word out: Cats are not decorations! Keep your black cat inside, not just on the 31st, but also in the days leading up to Halloween. If you are adopting out cats as a rescuer or shelter worker, be extra cautious with who is interested in acquiring an all-black cat in the month of October. Some people adopt cats as living Halloween decorations or part of a costume and then abandon them on November 1st. It’s absolutely horrible, but it happens. Be aware in your neighborhood of any strangers trying to get close to black cats–or any cats for that matter. If you think something suspicious is going on, contact your local police, animal shelter and notify neighbors on apps like Nextdoor. Animal cruelty is a crime and when you see something, say something. I stand out front of my home on Halloween to give out treats. My cats don’t like the sound of the doorbell. It’s too much! That’s a tip for all cats and their humans. It’s always better to take a chair and your iPod and just have a little party on your own front porch or stoop to reduce stress on your kitties while they stay in a safe, secure room in your home. Also, cats usually don’t want to wear costumes. Maybe dogs like it, but the cats I know do NOT. Never force a cat (or any animal) to wear a costume. If you do get your cat to wear a costume, take your pics and remove the costume ASAP. Never leave an animal unattended in a costume. They can injure themselves and even get killed because of costumes that constrict. Black cats are the least likely to be adopted at shelters. It’s called Black Cat Syndrome and it’s a real thing. If you, good person, are looking for a new cat to adopt and bring into your home, please consider a black one. That would be the best way to keep them safe all year round. Some shelters limit adoption of black cats around Halloween to keep them safe, but come November, they’ll be happy to hear from you. Our black cat has been nothing but good luck for us. May your cat, regardless of color, be a lucky charm for you year round as well. Do you have a black cat at home? How do you keep them safe around Halloween? Let us know in the comments below!